Last week I was wondering what’s up with that lonely pedestrian crossing on Hobson Street, while actually the worst street of them all is Cook Street. And what do you know? 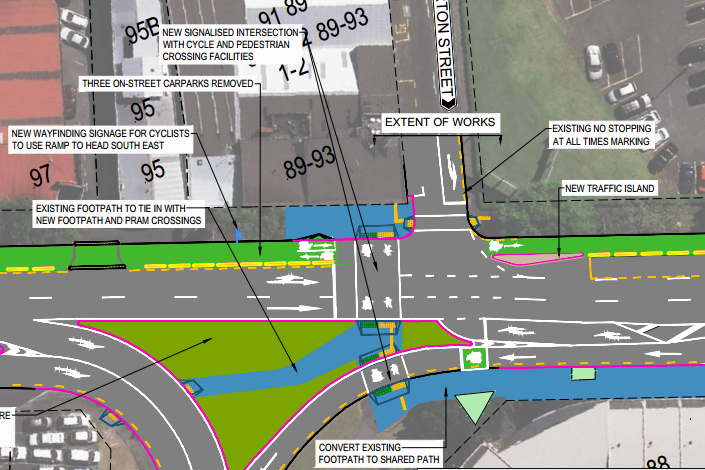 Cook Street is next, and it will get an entire pair of cycleways. Man, I really hated crossing those high speed turns. Two of them now get a dignified crossing. The third could do with a crossing as well, but maybe there’s only so much you can do before the automobiles strike back. 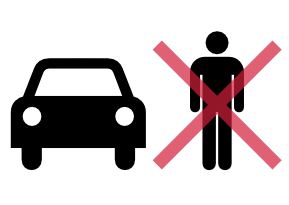 Auckland City centre residents’ group had a petition a while ago to improve that part of the city for the people living there. A few months ago they seemed to be going from pillar to post, but at last things are moving a bit now. 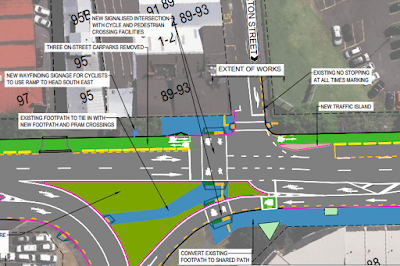 The westbound cycle lane is truncated before it reaches the intersection with Hobson Street for a handful of parking lots. Which looks weird, but realistically speaking, there’s nowhere for cyclists to come from anyway. That particular intersection also has a missing pedestrian leg on that side. Maybe both will get fixed in a next installment.